The world can sometimes be a cruel, dark place. 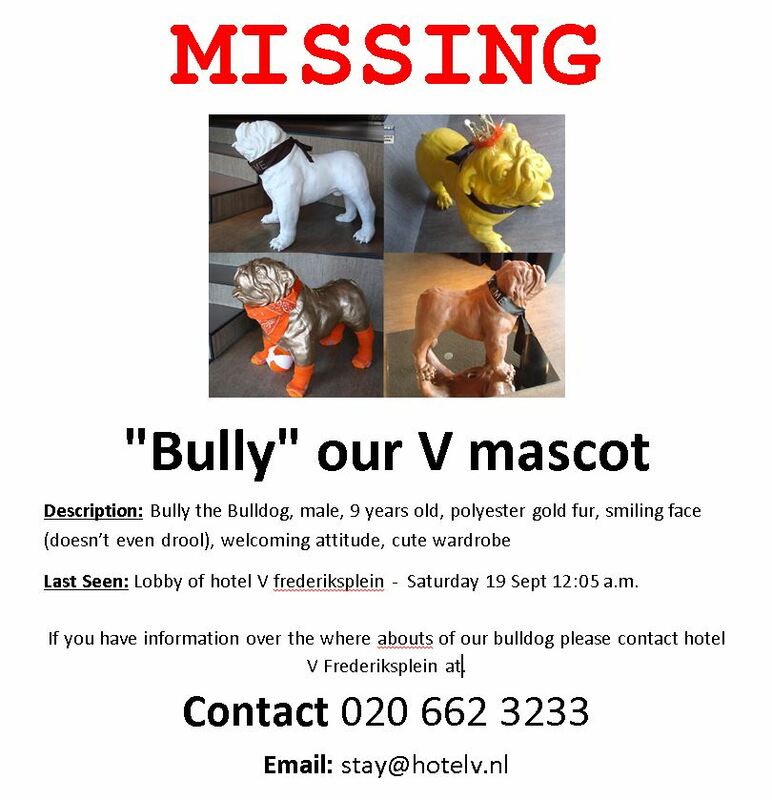 Our mascot, Bully the polyester bulldog statue, was stolen from our lobby on the night of 18 September. Whisked away by two unarmed men, Bully disappeared into the night, and we haven’t seen him since. 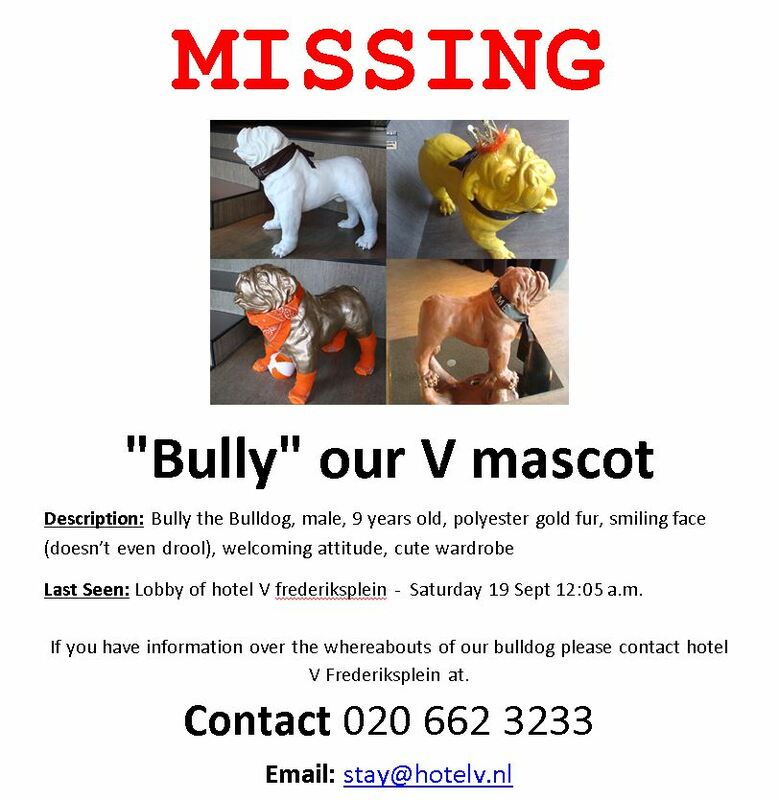 Bully has been a member of the V crew since we opened hotel V frederiksplein in 2008. He doesn’t know any other home but this, and he must be so scared. We want him back! 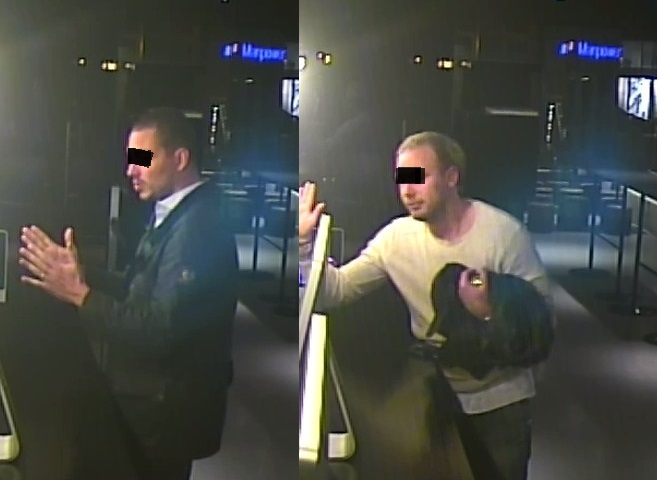 If you know of his whereabouts, or if you recognize these two upstanding citizens below, please do get in touch on our Missing Mascots Hotline: 020 662 3233. No questions asked, we just want his safe return.